Home Scuba Diving Review: Deepblu COSMIQ – Smart Dive Computers Are Here! 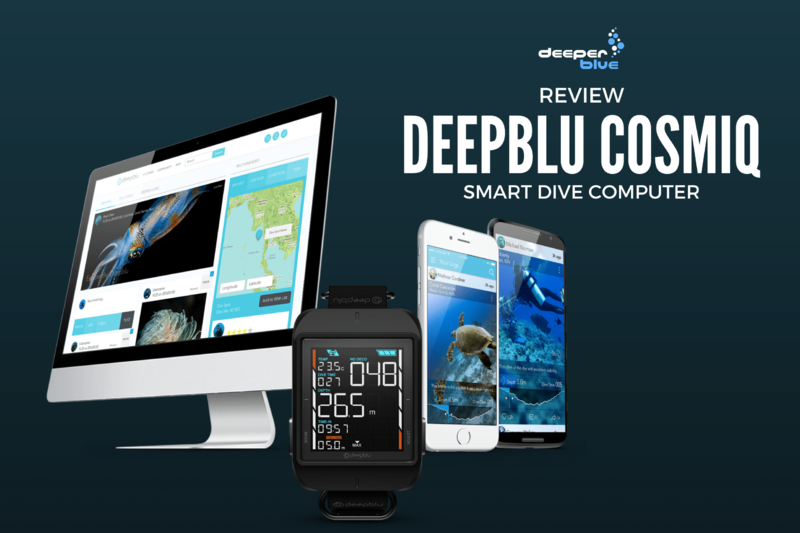 Review: Deepblu COSMIQ – Smart Dive Computers Are Here! Every so often a product comes to market that revolutionizes the world. Ford, for example, redefined personal transport in the early 20th century. 50 years later, Hoover transformed home cleaning with its readily available, affordable vacuum cleaner. More recently, the iPod – as we all know – changed the way we all listen to music. A few months ago I wrote a review on the all-new Suunto Eon Steel, describing it as representing a new generation of dive computer. It’s one of the very best on the market and will remain so for a long time… period. But since then a new player has come on the scene. 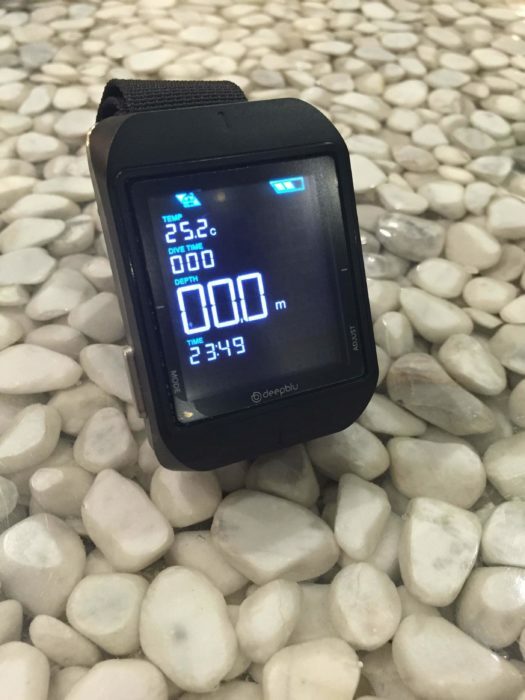 With its tagline claim of being “the next innovation in dive computing,” the Deepblu COSMIQ doesn’t try to be bashful. Nor should it. Setting itself apart from the competition by wirelessly syncing to the corresponding Deepblu app, the COSMIQ doesn’t just come into a class of its own, it’s reinvented one. Connecting via Bluetooth to either iOS or Android, dive data uploads directly to a diver’s personal Deepblu profile, creating auto-generated, digital logbook entries that record everything you’d expect – from bottom time to water temperature. Divers can supplement their logs as they wish – adding notes, pictures, video and even buddy/instructor details so that the app acts as an official record. It’s clever enough, but the ‘functionality’ all dive computer reviews talk to gets better yet because Deepblu has recognized that in the digital world we live in, sharing is everything. And sharing, of course, means social media. 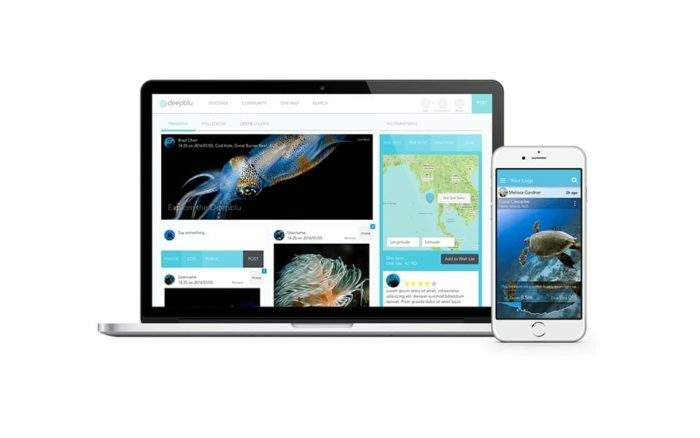 The Deepblu social network – an all-new platform – offers divers the chance to tap into their buddies’ profiles and share information with typical ‘like’ / ‘comment’ / ‘follow’ / ‘share’ capabilities. It’s an interesting concept; why wouldn’t divers want to connect with their dive friends and other like-minded ocean-folk, without the frustration of being served multiple cat videos? However, the real genius comes in how seamlessly well the app works in unison with the COSMIQ computer itself. Testing the COSMIQ over several dives, I was immediately hooked on the simplicity of how it connected to the app platform. Dive log info was synced to my profile – accurately and instantly – as quickly and easily as it is to log in. It was also proving addictive, which is the measure of any social media platform worth its salt. In fact, I was becoming so addicted to the logging aspect that I found myself going back to transcribe my handwritten, water-smudged scribbles from my old logbooks to beef up my profile. Given the COSMIQ’s price tag (just US$300), you’d be forgiven for thinking that this is an entry-level only dive computer. True, the finishing and casing/strap materials are perhaps not as premium as those found on more expensive options but that’s not what the COSMIQ is about. Instead, you’re buying a dive computer that doubles up as a digital logbook, with integrated social media capabilities. A futuristic look-and-feel appeal comes as standard, ensuring that the COSMIQ will interest a wide range of divers, with varying degrees of experience. Think of it as being a computer just as fit for beginners, fresh out of Open Water training, as it is for seasoned wetsuit-wearing hobbyists. 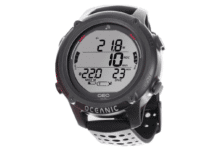 On offer are three, multifunctional dive modes – including Scuba, Freedive and Gauge mode, the latter of which essentially leads the COSMIQ to be a secondary-use, backup computer which will no doubt appeal to the more experienced among us. Satisfying all, however, are the other performance functions you’d expect from a dive computer – including depth gauge, ceiling limit, oxygen level, temperature, ascent rate warning, no fly time indicator and, of course, a no-deco limit bar. 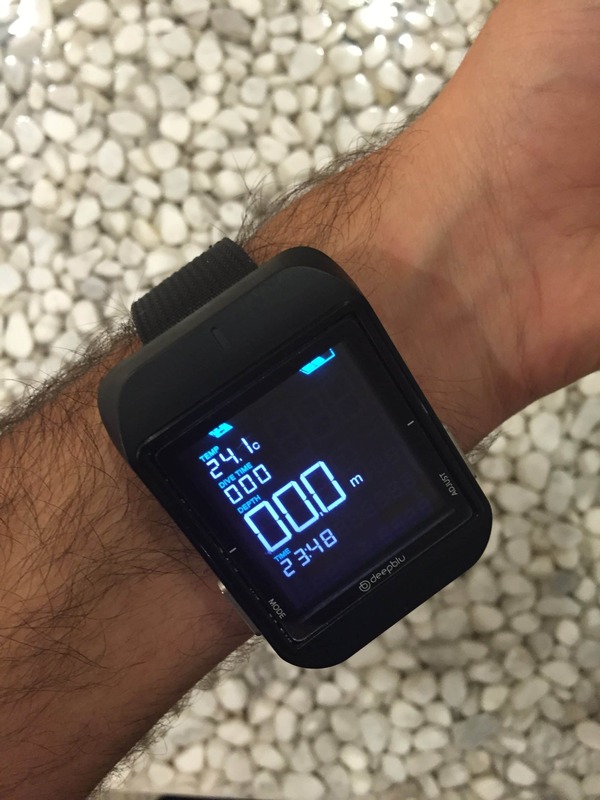 Freedivers will be pleased to hear that a max time/depth alarm can also be set. Talking of depth, incidentally, the COSMIQ is good for a 100m. Operating on Buhlmann ZHL-16C decompression algorithm, the COSMIQ offers a range of three safety factor settings (Conservation/Normal/Progressive). Personally, I found the default leaned towards the conservative side but that probably accounts for the wide range of divers who’ll be eager to get their hands on this computer. Changing the customizable settings is an easy fix. Turn the COSMIQ on for yourself and you’ll see the appeal from the get go. With its luminous, 2.2inch Pixel-less LCD display, which offers its information clearly and concisely (thanks, in part, to the screen’s bright, high-contrast technology), this is definitely a dashboard that’s more Jaguar than Vauxhall. A stainless steel two button setup adds a touch of class to the overall finish but moreover, also offers an easy to navigate interface solution. Other plus points include a rechargeable Lithium Ion battery that DeepBlu claims is good for up to six weeks’ life. Impressive enough, I found the battery lasted even longer when putting it in ‘sleep mode’ between dives. The instant charging USB cable is also a joy to use, though the magnetic connection was guilty of being a little weak at times. Overall, the COSMIQ puts functionality first. 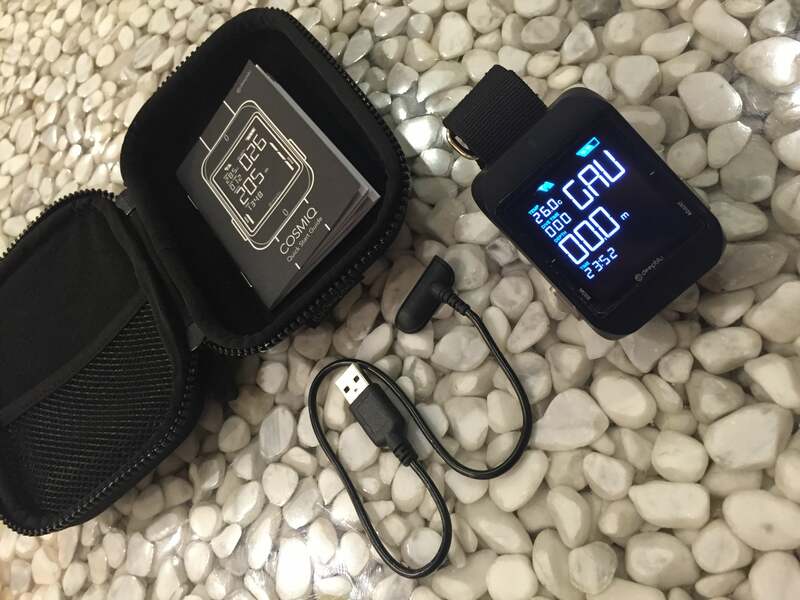 By itself, it is an easy-to-use, accurate dive computer that does exactly what it should, whilst being neatly packaged up into a very aesthetic package. However, in partnership with its sister app counterpart, the pair come into their own – both being as user-friendly as each other and offering a very cleverly thought out design that works perfectly in union. Up to now, the sophistication of dive computers has been based on its algorithms and intuitive capabilities, with tech specs and features being king. However, with its release earlier this year, the COSMIQ changed that almost overnight. All in all, I’d be clutching at straws and picking at minor flaws if I didn’t say the COSMIQ and its Deepblu sister app / social platform are mightily impressive. Even more significant is how Deepblu has set about changing the parameters of what a dive computer should be. In most basic terms, what Deepblu has done, first and foremost, is thought about what a new generation of divers want from their computer. 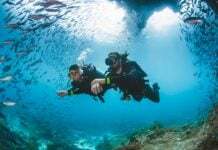 However, the Taiwanese company has also, rather smartly, embraced the fact that as divers we love to share our experiences and tell stories of epic dives from home and across the world. Creating a community to automatically share those details, quite frankly, is genius. Like Ford, Hoover, Apple and countless others who have revolutionized their industries, Deepblu has also kept its innovation relatively affordable – the key to it being readily available to all. As a result, you’ll be seeing a lot of divers jumping on board – with the chance being that you’ll be wishing you had one too. With its digital logbook app pairing and integrated social media platform, The Deepblu COSMIQ is a dive computer that represents a new frontier of innovation.Cleverly thought-out, well-designed, and with performance to match, divers looking for more than just a dive computer could do no better than the cutting-edge COSMIQ. Technical divers have dived countless times using conventional SPGs way before the advent of air integration tech…Why has this become such a critical feature all of a sudden ? Once upon a time, scuba divers used only a watch, depth gauge, dive tables and SPG to execute dives. Like many equipment innovations, air integration has moved from innovation to “standard”. Many divers rely upon the air consumption information it provides. Omission of this information on a computer is a backwards move. Sure, I like the logging and social media aspect of this devise but personally real-time diving data is more important. I am a dive professional and I am very disappointed how people are reviewing this computer like there’s nothing to improve. I did the mistake of bying this and haven’t regretted anything in a long time so much. Already second Cosmic not working even the basic way. Quality of the product seems to be very low. First one stopped charging after 2 weeks and now the second ones mode button doesn’t work. I don’t have the time to send and wait for a new product every few months. Now waiting for an answer if I can cancel the purchase and get my money back to buy something more reliable. Automatically uploading your dive log to a social media site seems more gimmicky than revolutionary. Many dive computers can download their dives to a computer log. Other than that, this seems like just another dive computer.